Urban Scene Construction provides the ultimate in home renovations and extensions, we are experts in our field. Whether you have plans or want to discuss your ideas, we can help you bring your vision to life. With over 20 years experience in the building industry, we pride ourselves on offering a personalised service dedicated to helping you with all your building needs. Whether your next project is an alteration, extension or a custom designed home, we are dedicated to working with you to implement a building solution that meets your needs, budget and lifestyle. We consider each and every project we undertake as if it we were building a home for ourselves. Quality, communication and time management is of the upmost of importance giving you the assurance and piece of mind that your project will be one of success and one that you will be proud of for many years to come. Corella Construction is a family owned Queensland Company with 19 years building experience, making us experts in our field. We have extensive experience in both residential and commercial environments, and we have countless of satisfied Queensland clients and a proven track record of success. Corella Construction can manage all your building needs from start to finish. We specialise in exceeding expectations, and that is at the core of our business. Owners Craig and Ella Brown, with their respective building and accounting experience, will ensure that your vision is realised no matter what the build or project. Learn more about our Craig Brown’s global building experience and background as one Queensland’s most experienced builders. Petro Builders believes great design needs great workmanship. We believe in our client’s vision. We believe in creating buildings and renovations that are beautiful, clever, sustainable, and cost effective. Since its establishment in 2009, Petro Builders has grown steadily with each new team member bringing a unique skill set and experience. Nick has assembled a team who are passionate about the work they do and take genuine pleasure from producing beautiful work beyond expectations. The projects have grown in complexity and scale, with each challenge adding to a wealth of knowledge and experience that is applied to every subsequent Petro Builders project. Among these are award-winning restoration and extension projects, character-sensitive builds, and complex designs and site conditions. Combined with Nick’s natural talent for problem solving, these experiences give Petro Builders the confidence to tackle any project. We believe that remarkable buildings come from collaboration between builders, designers, clients, and other trades. We consider clear, honest communication to be essential at all stages of a project. It is something we bring to every project without fail, and something that our clients appreciate about working with us. For more information about who we are and our past jobs, or to discuss your plans for future projects, please feel free to contact us. Specialising in all aspects of construction and house design, our master builders can guarantee to bring your ideas to life. 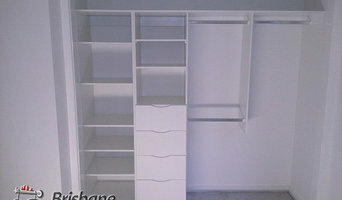 Based in Brisbane, we service homeowners for all their building needs. We’re always up for projects both big and small, and are available to discuss your plans in depth. 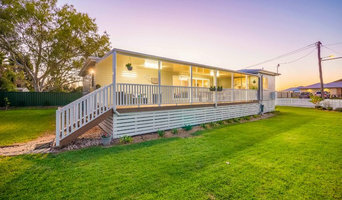 Therefore, if you’re in need of a custom built property, some renovation or an extension, look no further than our professional home builders in Brisbane. Our established company is well known for providing exceptional customer satisfaction and quality workmanship. From the onset, you will always be a part of the design and construction process. This ensures you know exactly what is happening and within your specifications at all times. With such a dedicated team at your disposal, it makes perfect sense to utilise the expertise of our master builders for your next project. 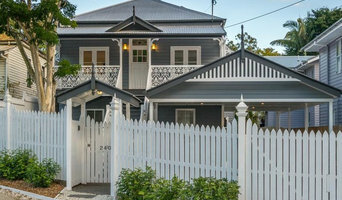 Constructive Homes have been Brisbane's favourite custom builders for over 30 years. We specialise in individual designs for luxury home renovations and home extensions. The journey started in 1989, after working for many small to medium sized building companies around Brisbane. We could see an opportunity with the aim providing outstanding customer service and un-compromised quality for those wanting to create new spaces to their existing homes. What we do differently from our competitors is offer the complete design and construct package in the home renovation space and how we actually get projects off the ground and started all aligned with the clients vision and most of all their budgets. Our team are a dedicated bunch of highly skilled professionals, from the administration staff through to the trades persons. Some of our trades have been with us for 20 plus years, so we take pride in our team being built around trust and professionalism. We develop enduring relationships with our clients during the whole process. By offering our personalised service and passionate approach to every client, we have built a reputation within the industry and a growing referral base from our existing customers. Experience the Constructive Homes difference. 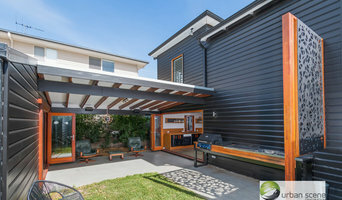 Cobb and Co Projects is a Brisbane based, high quality building company who specialize in * Full Home Extensions and Renovations * Kitchens and Bathrooms * Decks and Patios * House Lifts and Build Under. With over 20 years’ experience in the building industry, Daniel works one on one with clients to step them through the journey of renovating their property. Working with concepts and design, budgets, selections and construction, Daniel and the team offer a beginning to end hassle free renovation experience, working with the greatest respect for your home and offering the highest quality detailed finish for your project. With the majority of their work being referral based, this is testament to the quality workmanship, attention to detail and client satisfaction that this team deliver. Imagine Property Development is a residential construction company with strong experience in architectural projects, boasting a proven track record of completing award winning products with a very high and detailed level of finish. Imagine Property Development services all aspects of residential property construction throughout the greater Brisbane region. Including renovations, extensions and new homes. Established in 1997, McLachlan’s have not compromised on their initial focus to be the leading family owned building company in South East Queensland. Mclachlan’s exceptional attention to detail, high quality finishes and passion to provide clients with exceptional service truly sets them apart. This professional team of over 25 permanent staff pride themselves on winning numerous HIA & QMBA awards and successfully completing in excess of 2100 homes in locations from the Sunshine Coast to South Brisbane. McLachlan’s are truly inspiring in every sense, with dedication to creating and building stunning, livable homes for every family’s lifestyle. Contemporary, open and flowing in design, McLachlan’s are ideally suited to Queensland’s indoor/outdoor lifestyle and are experienced in constructing homes on many different lot types. If you can’t find what your looking for, our talented team of designers are able to work with you to design a home that perfectly suits your personal lifestyle, budget and tastes. McLachlan’s are committed to delivering a home that each and every customer is completely satisfied with. This service is part of our unique design and building process that won’t cost you any extra. McLachlan’ s look forward to exceeding your expectations … Visit one of the experienced sales professionals today at our exciting new display locations & let McLachlans exceed your expectations. We specialise in a range of residential and commercial construction work such as: - Large extensions - Lift and build unders - Complete renovations - Architectural new builds - Commercial fit-outs and de-fits If you have the ideas and plans, Spencer Constructions can organise the rest. We will keep your mind at ease guiding you through the quotation and contract stage to ensure your QBCC Home Warranty is lodged before we make a start. Our clients are constantly kept up to date with on-site progress and regulary consulted to make sure their desired finish is achieved. Spencer Constructions is fully licenced and holds all necessary insurances required by the Queensland Building and Construction Commission. We build to the National Construction Code and make no apologies for not taking any shortcuts. When choosing a building contractor it is important to consider a range of factors. Whilst price is important, you want to make sure that the job is going to be done properly the first time and to the quality you desire. That cheap quote could end up costing a lot more, as unfortunately some contractors will hit the clients with variations for items that should have been included in the original quote. Spencer Constructions takes every care to ensure that our clients are given firm quotes where possible and are walked through everything that is included in the contract well before they sign it. If we sound like a business that could possibly help you in your future projects, please don't hesitate to contact us. Almost all forms of building, renovations and maintenance for domestic and commercial. 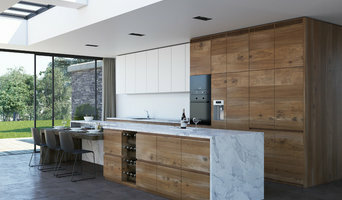 Urban Matter Construction specialises in high-end home renovations and construction services. With over 50 years of combined experience, Urban Matter delivers dynamic renovations to Brisbane homeowners. Serving both home and industry, we offer superb new home builds and project delivery backed by the dedication and skill-set of our experienced construction crew.